OUTR and the students of the Into the Void Upper pool Studio would like to thank those of you who attended the opening on Friday night. Also, we would like to especially mention two of the students namely: Katya Hamaniuk and Farah Dakkak who helped significantly to reformat and prepare the work for the exhibition. Didn't get the chance to see it? The work will be up until the end of this week (Friday4th), if you are still interested in coming and having a look. We have released a new project to the www called Try Timber Pavilion. Pavilion 01 is envisaged as the first of a range of pavilions exploring a range of qualities, and as physical testing and learning modules for the students of TRY Australia. 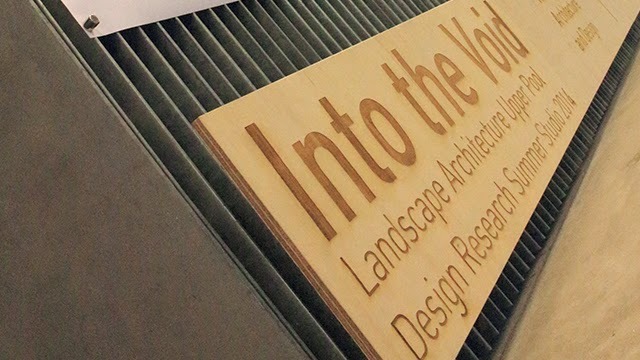 OUTR and the participating students would like to invite you to the "Into the Void" exhibition and celebration. WHERE: RMIT Design Hub, Level 5 Longroom, 150 Victoria St Carlton, Melbourne. 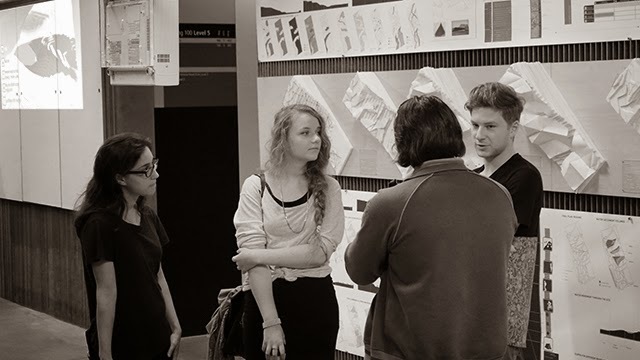 The studio is part of ongoing research being undertaken by OUTR RMIT, into resource landscapes in the LaTrobe Valley and was conducted by students. 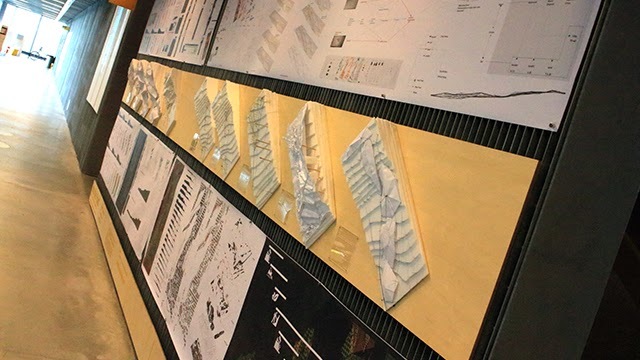 The intent of the studio was to investigate resource landscapes and the potential for these landscapes to be reformed through a range of material organisations and parametric behaviours that are inherently part of their being. The studio focused on the infrastructures associated to the LaTrobe Valley, in particular Loyang’s open cut brown coal mine: extending, re-programming, value adding, bolstering etc. Thats right its every frame of the movie in a image. 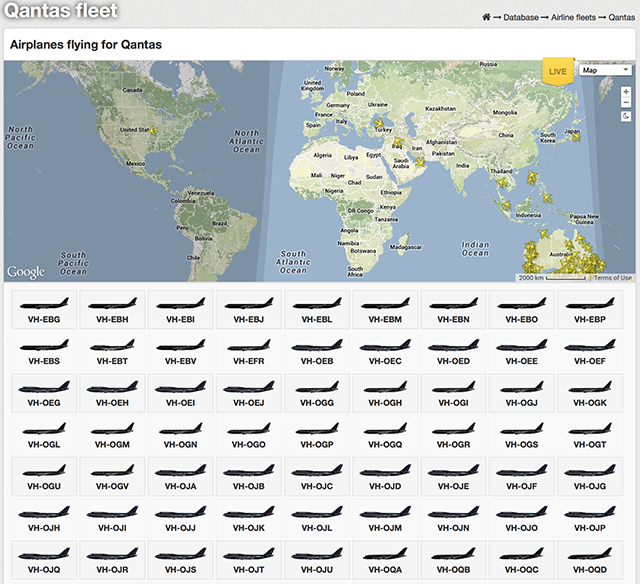 With all the news lately surrounding Qantas, and this week with the missing Malaysia Airlines Flight MH370 we thought we would share this visualisation tool called Flightradar24. We have posted on similar aircraft flight path visualisation tools before, but this one seems a lot more comprehensive, and gives you the ability to not only view almost real time traffic, but also details on plane types, airports, and weather, just to name a few. Please see below for some live examples. Flightradar24 is a flight tracker that shows live air traffic from around the world. Flightradar24 combines data from several data sources including ADS-B, MLAT and FAA. The ADS-B, MLAT and FAA data is aggregated together with schedule and flight status data from airlines and airports to create a unique flight tracking experience on www.flightradar24.com and in Flightradar24 apps. We have released a new project to the www called Australian Bush Fire Memorial Victoria. Rapid prototyping technologies have historically been utilised by a range of industries (e.g. 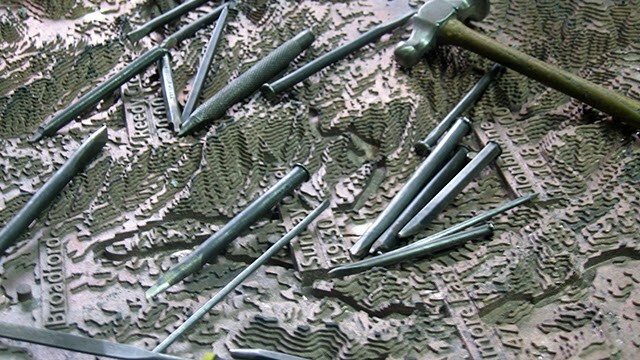 automotive) to produce precise and complex forms calculated and generated through digital modelling. This research examines the changes in architectural production that result from these digital manufacturing technologies. We have released a new project to the www called Cove Knot. 'Cove Knot' symbolises the cultural interweaving of Darebin's culturally rich community through its form, and yet does not remain a mute object as it also provides a place of sanctuary. As an asset to the park it provides shelter from the sun and rain, a place on high (the Hill) for parents to watch their children at play, or a simple quite place of retreat, hence the reference to cove in the title. We have released a new project to the www called B.Home. 'b.Home' is intended as a good humoured and intelligent response to the Delacombe Wetalands Sculpture Project, something to bring a smile, create a sense of wonder and belonging, and contribute to a sustainable ecology.